The Revolution Online with MIT Professor Dr. Sanjay Sarma. 11 Apr The Revolution Online with MIT Professor Dr. Sanjay Sarma. As a professor of Mechanical Engineering, and the first MIT Director of Digital Learning, Dr. Sarma will be discussing the future of digital education, the effect innovative technology has in education, and the powerful impact it continues to have around the world. His Office, the Office of Digital Learning, overseas MIT’s Open CourseWare project and the development of MIT’s pioneering Massive Open Online Courses (MOOC’s). Dr. Sarma also serves on the board of edX, the not-for-profit company set up by MIT and Harvard to create and promulgate an open-source platform for the distribution of free online education worldwide. Dr. Sanjay Sarma is the Fred Fort Flowers (1941) and Daniel Fort Flowers (1941) Professor of Mechanical Engineering at MIT. He co-founded the Auto-ID Center at MIT and developed many of the key technologies behind the EPC suite of RFID standards now used worldwide. He was also the the founder and CTO of OATSystems, which was acquired by Checkpoint Systems (NYSE: CKP) in 2008. He serves on the boards of GS1, EPCglobal and several startup companies including Senaya and ESSESS. Dr. Sarma received his Bachelors from the Indian Institute of Technology, his Masters from Carnegie Mellon University and his PhD from the University of California at Berkeley. Dr. Sarma also worked at Schlumberger Oilfield Services in Aberdeen, UK, and at the Lawrence Berkeley Laboratories in Berkeley, California. He has authored over 75 academic papers in computational geometry, sensing, RFID, automation and CAD, and is the recipient of numerous awards for teaching and research including the MacVicar Fellowship, the Business Week eBiz Award and Informationweek’s Innovators and Influencers Award. He advises several national governments and global companies. Join us for the rare chance to hear from Major General (ret.) 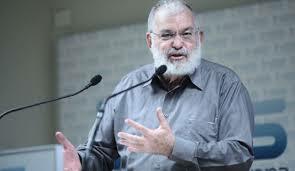 Yaakov Amidror, who served as the National Security Advisor to Israeli Prime Minister Benjamin Netanyahu. Major General Amidror is joining us from Israel on April 14th, 2015 to speak about his presentation entitled “Turmoil in the Middle East”. Major General Amidror has been quoted in countless media outlets regarding his opinion on a possible Iranian arms deal and predictions of peace in the Middle East. After hearing from Major General Amidror’s first hand account of the current situation in the Middle East, attendees will have the chance to meet and greet our guest in a cocktail hour setting. Light appetizers and beverages will be served. Major General (ret.) Yaakov Amidror is the former National Security Advisor to Israeli Prime Minister Benjamin Netanyahu, and former head of the Research Department of Israeli Military Intelligence. In March of 2014, Major General Amidror joined the Begin-Sadat Center for Strategic Studies as the Anne and Greg Rosshandler Senior Fellow. Major General Amidror is also a researcher at the Jerusalem Center for Public Affairs. Join us for a lovely evening at Gallery Kayafas in the SOWA section of the South End, Boston. You will have the chance to network with other Boston International members while in the unique atmosphere of a beautiful art gallery in the heart of Boston, and take part in a silent auction and raffle to benefit The Herren Project. The Herren Project is a wonderful 501(c)(3) organization that strives to remove hurdles for those seeking recovery from substance abuse, and keep youth on the right track. Founded by former Boston Celtics player Chris Herren, you may have seen The Herren Project featured on ESPN’s Ungarded. Our own Boston International board member, Kristin Sullivan, is running the 2015 Boston Marathon on behalf of The Herren Project. All proceeds from the night, including ticket sales (excluding Eventbrite fees), go directly to The Herren Project. Beverages and Hors d’oeuvres will be served. Don’t miss this wonderful night! If each Boston International member donated just $10, our fund raising goal would be met!